Save time by filling out your paperwork at home! Schonhard Chiropractic provides Jackson residents with the finest chiropractic care available, continuing to lead the chiropractic profession as ethical and responsible health care providers. The Jackson Husband & Wife Chiropractic Team was established in 1993. Dr. Ann Schonhard puts a strong emphasis on women and children and their unique chiropractic needs. She uses a gentle chiropractic approach and has 24 years of experience. Dr. Eric Schonhard uses a firmer approach with his chiropractic adjustments, and focuses on painful conditions involving: the lower-back/sciatica, mid-back/ribs, neck/shoulders, and headaches. Schonhard Chiropractic is conveniently located in Jackson, MI at 2522 Wildwood Avenue between Blair's & Laurence Avenue. Call us to set up a free consultation and discover the Jackson Husband & Wife Chiropractic Team. 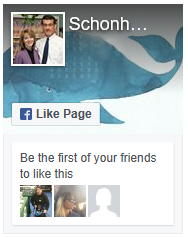 "I have gone to Eric Schonhard since about 1995 to the present. I have a fifth lumbar disc disappearing through wear and tear. Eric through treatments and exercise has kept me from having spinal surgery. I highly recommend both Ann and Eric. And if you keep your body tuned up, if you should fall on ice or just lose your balance--you are much better off. PS--My wife Susan goes to Ann. Both are great!" - Loren W.